What system and process do I need to manage contract compliance better? Contract management is the process of tracking contracts to determine who the corporation should be ordering from, when, and at what price. It is also the task of ensuring that the suppliers are adhering to the agreed upon terms – from procurement’s perspective; from a legal perspective. Contract management is the process of ensuring that the corporation is using standard terms, that risks are mitigated, and that contracts are in place for all key relationships. Contract management ensures that both parties in a transaction get what they expect. 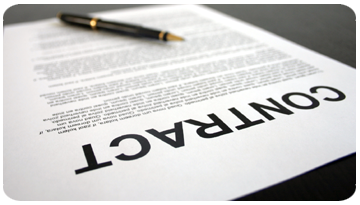 How does contract management protect our company? A vendor management solution establishes a contract management process that standardizes the way the contractual parties interact and the way work is evaluated. With a Vendor Management Solution, a corporation not only manages its contracts, but the information that is contained with the contracts and that is related to the contract is managed. A corporation can, not only find the contract for a good or service in question, but share that information with their sourcing and procurement systems for automated compliance verification of invoices, terms, condidtions and spend analysis systems for compliance reviews. Contracts are typically administered on both sides of the contractual relationship by department head, legal team, AP, contract manager or outside 3rd Party as with LIMITLESS. The contract manager or VAM (Vendor Account Manager) serves as the point person for the contract while it remains active. On the client side, the contract manager monitors the vendor’s performance, conducting site visits and inspections, and ensuring that the vendor is following the work plan that was submitted with the vendor’s bid for the job. On the vendor management side, the LIMITLESS VAM manages the paperwork and handles communication with the client, keeping him apprised of progress towards goals, submitting requests for payment when milestones are reached and informing her or him of any problems. Contract management also largely involves budget control. The VAM keeps an eye on the contract guidelines. If invoicing goes over the budget that the vendor submitted as part of its bid for the contract, internally the contract manager works to develop a budget modification or an alternative solution to the problem, externally the VAM works to stay “in front” of the contract negotiation or flaw to ensure best outcomes. While the tradition is normally to manage contracts manually through folder and file cabinet storage, the practice is filled with inefficiencies that can only detract from an organization’s overall efficiency. Integrating with an automated contract management system and service will help free up countless man hours and automate countless processes associated with managing a contract, thus creating more value for a company and meeting compliance requirements. A significant aspect of contract management and compliance is reporting. As with LIMITLESS’s VMS software Contract Management uses the reports that a vendor is required to submit periodically to ensure adequate progress is being made towards performance targets. Often, these reports are tied to a vendor’s payment schedule. Vendors typically submit performance and financial reports to assist with contract management. Another significant part of contract management is establishing a procedure for dispute resolution. Contracts can span multiple years. During that time, disagreements may arise regarding the best ways to fulfill contractual obligations, especially if underlying circumstances have changed. Agreeing to dispute resolution procedures in advance and allowing a contract manger to mediate the process ensures that the work does not stop even while the issue is litigated in court. An important part of the VAM’s role for our clients contract compliance is performance evaluation. An evaluation procedure informs the vendor of the objective standard that will determine if the company has met its contractual obligations. Further, evaluation allows the client to determine if the vendor’s performance merits hiring the company again in the future. Contracts that have been fully performed still require management. One area which is extremely important to watch is the auto-renewal aspect of contracts, as these often time cause companies $1000’s of dollars not re-evaluating the terms and rates which can be affected in this automated process. Many types of organizations retain the power to audit a contract years after the contract was closed to ensure that payments were made correctly to eligible parties and work was completed according to standards. A contract manager will often finalize the work on a completed contract by ensuring that the contract is completely documented and audited.